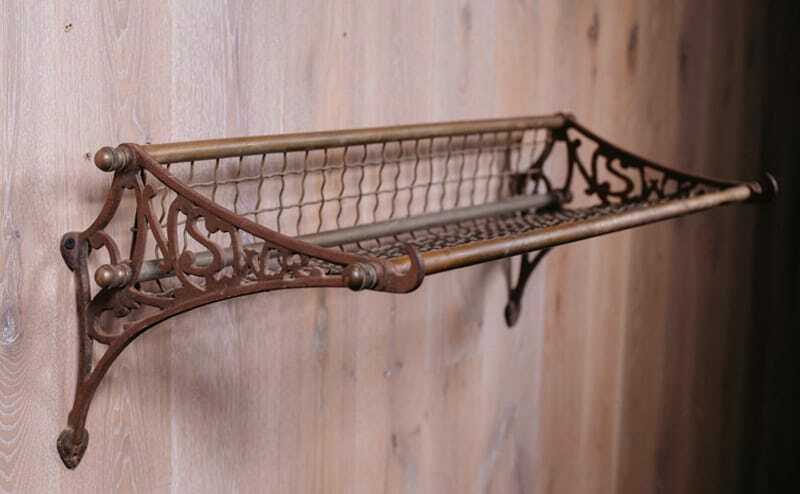 Reproduction New South Wales Railroad luggage rack. The network of railways began winding its way through Australia in the 1800s. 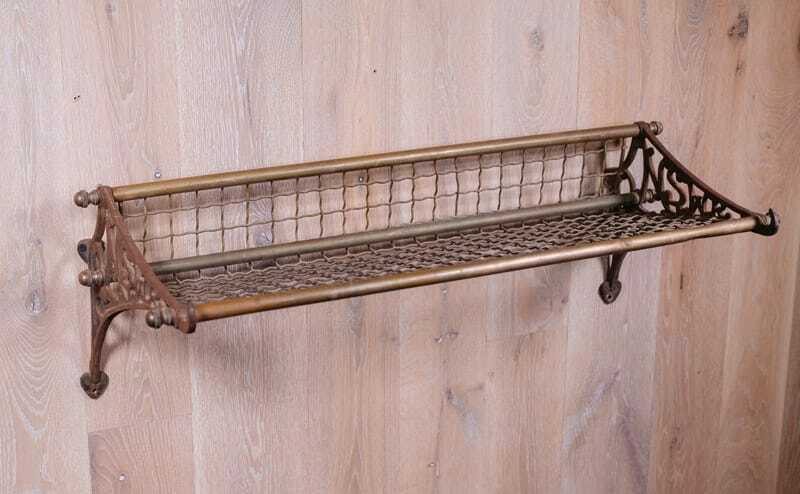 Brass mesh bottom with cast iron frame. The railroad’s initials decorate the sides.